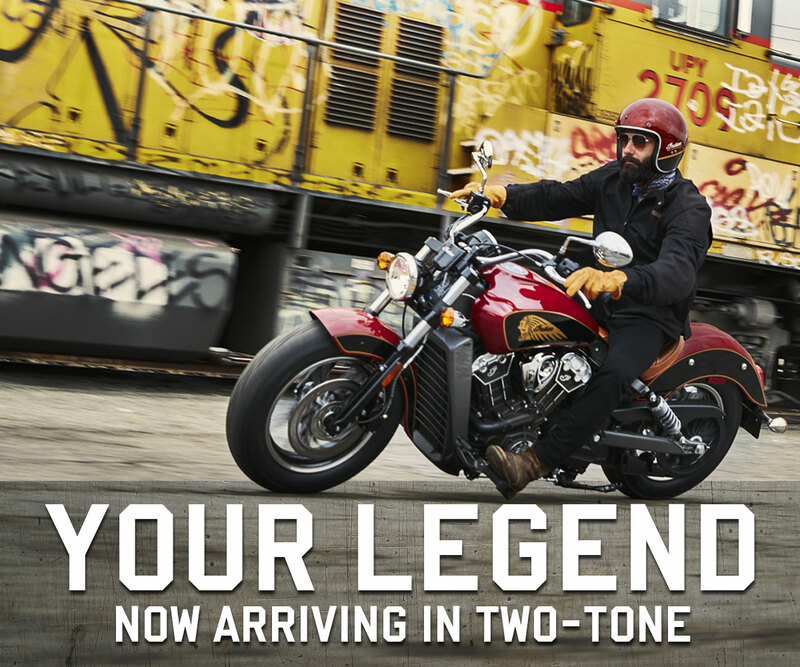 Indian Scout two-tone is now arriving at a dealership near you. It's time. Take control of your story. Then make it legendary. Stop by and check out the new colors today.